The family originated in Germany, but Philipp Fahrbach Sr. (1815-1885) was born in Vienna and at the age of five he could already play the flute. He had three brothers who were also musical. He joined Johann Strauss Father's orchestra after the latter parted with Joseph Lanner in 1827 and stayed with him until 1835. He was already composing, and Haslinger was his publisher from 1828. In 1835 Farhbach started his own orchestra and wrote one of the most descriptive railway pieces ever written, the Locomotiv-Galop. 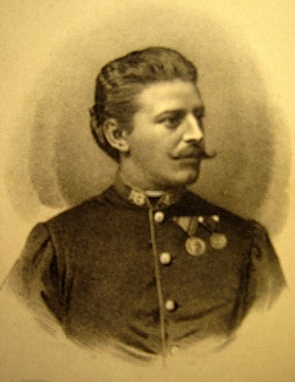 By 1841 he disbanded his orchestra and became the bandmaster of Vienna’s Hoch-und Deutschmeister Regiment where he conducted concerts in the Volksgarten, alternating with the Strauss Orchestra. When the regiment moved on, he left and started a civilian orchestra which coincided with Johann Strauss Jr’s début, so he faced a formidable rival. Because Johann Strauss Jr. had sided with the students in the 1848 revolution, Fahrbach was selected to direct the music at the Royal Court Balls, but despite this apparent victory, he could not compete with the new Strauss Orchestra and by 1854 had to give up his own orchestra. He returned to the army but came into conflict with its commander and left. He formed a civilian ensemble and became the house conductor for the Sperl establishment. A prolific composer, he wrote close to 500 works. 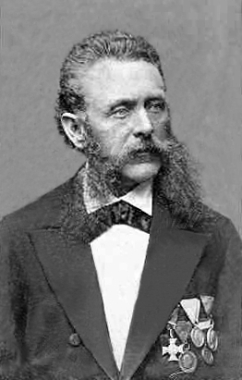 His son, Philipp Fahrbach Jr. (1843-1894), was introduced to the public at the age of 11. He never made the same impression on the musical world as his father, taking up the position of bandmaster in Budapest and also in Vienna. He undertook concert tours to Berlin, Paris and Madrid and many of his works were first published by French publishers (hence the titles). He took over his father’s orchestra after his death and wrote a number of noteworthy works. He continued in this role until his untimely death. He also was a prolific composer with around 400 works. Like his father most of these works are to be found in archives for piano, but the amount of orchestral material available is rather limited, much of what is left has been played, or arranged for small ensembles from the piano edition.